MIT D-Lab works with people around the world to develop and advance collaborative approaches and practical solutions to global poverty challenges. 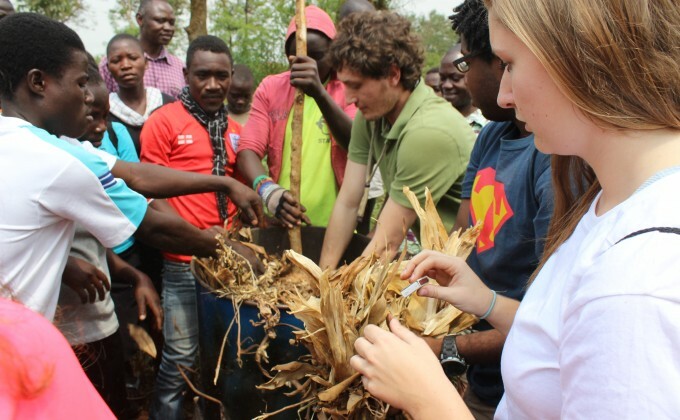 The program’s mission is pursued through interdisciplinary courses, research in collaboration with global partners, technology development, and community initiatives — all of which emphasize experiential learning, real-world projects, community-led development, and scalability. D-Lab challenges and inspires talented students to use their math, science, engineering, social science, and business skills to tackle global poverty issues. D-Lab’s 20+ MIT courses include design courses as well as courses that cover the principles of creativity, collaborative design, cross-cultural dialogue, supply chain management, and business venture development. Many courses provide an option for fieldwork. D-Lab’s research groups include Agriculture & Water, Biomass Fuels & Cookstoves, Developing World Mobility, Off-Grid Energy, Mobile Technology, Local Innovation and Development, and Lean Research. IDIN is building an international network of innovators to design, develop, and disseminate low-cost technologies that alleviate poverty. IDIN holds multiple design summits around the world annually and provides a suite of support to its network of over 600 inventors and social entrepreneurs from more than 50 countries. The MIT D-Lab Scale-Ups Fellowship offers one year of support to social entrepreneurs bringing poverty-alleviating products and services to market at scale. Scale-Ups Fellows receive a $20,000 grant, tailored mentorship, skills-building, and networking opportunities. MIT alumni and alumni of the International Development Design Summit (IDDS) are eligible to apply. Now in its sixth year, the program has provided fellowships to 33 social entrepreneurs working on four continents in sectors including agriculture, energy, water, health care, housing, livelihoods, mobility, recycling, education, and personal finance. The Practical Impact Alliance is a network of leaders working across industries and geographies on market-driven social impact initiatives. Members include leading multinational corporations, non-governmental organizations, government agencies, and social ventures. The current members areAjinomoto, CARE, Danone, Johnson & Johnson, Melton Foundation, OCP PHOSBOUCRAA Foundation, PACT, SC Johnson, Siemens Stiftung, USAID, World Vision. CCB is a methodology that encourages and trains people to make technologies that generate income, improve health and safety, or save labor and time. At present, there are three main approaches to D-Lab’s implementation of Creative Capacity Building: Village-level Training; Community Innovation Centers; and the International Development Design Summit. The D-Lab workshop, the heart and soul of D-Lab, is a place for D-Lab students, fellows, innovators-in-residence, and others to bring technologies for the developing world to life. The workshop includes a large collection of hand and power tools, steel fabrication and welding tools, an open shop with multiple workbenches, and a dedicated wood shop and long-term projects room.